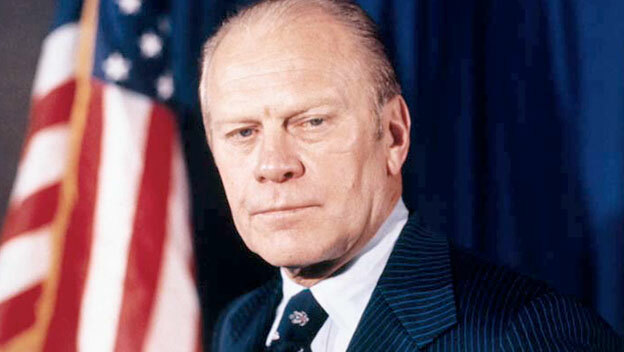 A Michigan Congressman, Ford was appointed vice president by Richard M. Nixon after the resignation in disgrace of Vice President Spiro T. Agnew in 1973. When Nixon resigned in 1974 as a result of the Watergate scandal, Ford became the nation’s only unelected chief executive. His conciliatory personality contrasted with the combative demeanor of President Nixon, and he professed a desire to heal the nation after Watergate—although many denounced his blanket pardon of the former president. Ford failed in his bid for election in his own right, losing to Democrat Jimmy Carter in 1978.